What is email marketing all about? 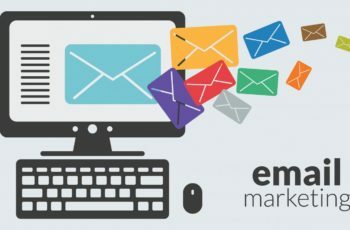 Similar to how direct mailers were once one more popular advertising methods, email marketing simply means sending bulk emails to a target audience. Usually your customers. Email marketing is usually a cost effective way of reaching out. To begin with, emails are almost free compared to traditional mail. You just need a computer and internet access. Generally if you’re emailing to a small group of audience the above method would work. However over time, your email list would grow, and when you hit the hundreds or thousands email, then manually emailing these people may not be that practical. For starters you’ll need a way to automate the sending of emails, and maybe customising each email by the recipient’s name. Then you’ll need to track the number of bounce emails, open rates, click rates, to know how effective your email campaign is. These figures also help you tidy your email list, so you know which emails are responsive, and which are “dead emails”. Finally you’ll also need to make sure the various mail providers like “Gmail”, “Hotmail”, and others don’t classify you as spam. After 1-2 days you can login to your account, to look at the report to find out how well your email campaign went. Some email marketing providers go further to help you optimise / clean up your email list based on the number of “dead” emails it identifies, and other metrics. You may wondering what then is a good “Open Rate”? Honestly it depends. Think about it, if you bought a database from a 3rd party company, you probably won’t know the quality of emails in the list. The word “quality” here means you don’t know if the people willingly signed up to be in the email list. It could be that these people participated in some lucky draw, and the merchant sold the email list obtained. You also won’t know how many of these emails are interested in your product / service. In another scenario, the email list you have could be something you built from scratch. Assuming you have a high traffic website and you have a “Sign Up For Newsletters” box placed on the homepage. Generally people who sign up for your newsletters are genuinely interested in what you’re selling. Keep the email subject short and to the point. This is very crucial is the email subject determines whether the emails gets opened, ignored, or trashed. Make sure there’s an unsubscribe link where users can unsubscribe from your list. This is probably a tricky question. When you buy online banner advertisement, you probably look at Cost Per Click (CPC) or Cost per thousand Impressions (CPM). When someone clicks on the banner, they’ll come to your website. It’ll then depend again whether or not they make that purchase. Likewise for email marketing, you’ll need to calculate the total numbers of email in your base. Then consider the number of people who actually open the email, then the number of clicks to your website, and finally the number of people who purchase the product / service that you’re marketing. Hence from the above, I would think if you’re driving a sale or a type of acquisition at the end point, email marketing may not be the best option. However if the objective is a constant brand reminder where you want to engage with your audience on a regular basis, then email marketing may be something worth considering. There are 4 main email marketing software that are easy to use and popular online. These are mailchimp.com, verticalresponse.com, cakemail.com and aweber.com. In this section I will review the features and the pricing of each one so you can compare them all on one page. We do not earn referrals or commissions for suggesting these sites, so it will be a completely honest review. MailChimp is one of the largest email marketing providers and they have tons of useful features. Here are some of the best features that they have. You can calculate your cost for any number so I have picked some big milestone numbers. 5000 subscribers would be $50.00. 10,000 subscribers would be $75. 100,000 subscribers is $475 per month. When you start to get above 50,000 subscribers, you don’t have unlimited emails anymore, you are allowed to send 600,000+ emails per month. Vertical response have many amazing features and well deigned emails, here are a list of their top features. You will have to contact them for a private price quote if you have more than 40,000 subscribers. If you pay yearly then you can save a little as well. Aweber have many amazing features and they are one of the leading email marketing programs online. Here are some of their top features. Of the above, Mailchimp would probably be the most popular of the lot. They have ready WordPress plugins and have a huge community using it. Moreover there is a free plan if you have less than 2,000 subscribers in your list.